Our team consists of 6 travelers. 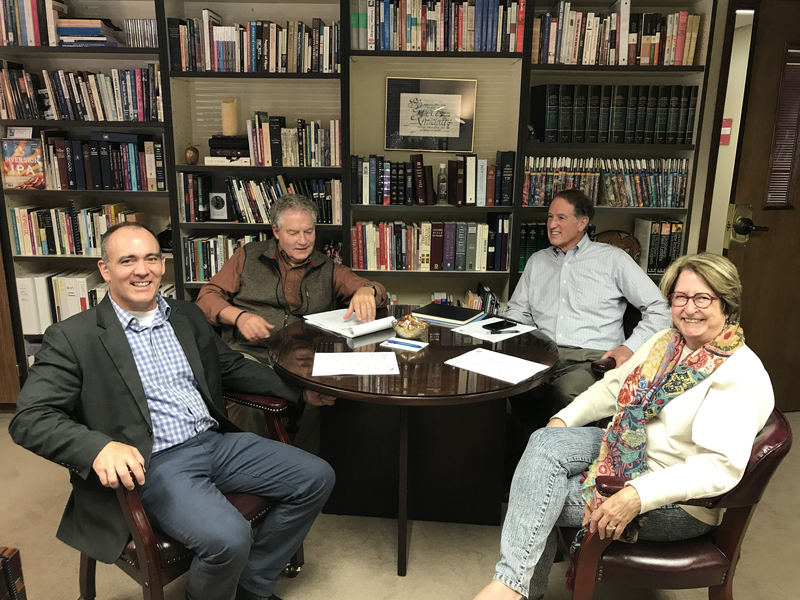 Though three of us are from Lake Grove, the other 3 men live in different cities - a World Vision executive (our team leader, Steve Haas), a Baptist pastor, and the director of a philanthropic foundation. Unable to meet in person for prep meetings, we have been digesting long emails full of information, a bit of which we'll share with you so you can understand some of the dynamics of the trip. But the three of us from Lake Grove decided it would be good to meet face-to-face and talk through some of our questions, including nitty-gritty details like what to pack and what to wear. Steve joined us by speaker phone for a pep talk and some tips, and then we spoke with veteran World Vision team leader LuAnn Yocky, who was a big help. I can't speak for Mark or Alan, but personally I felt a lot more at ease about the trip after our "prep meeting"!